Viva la Pizza! 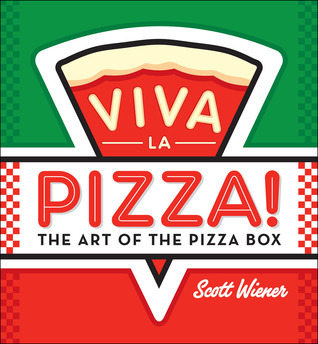 by Scott Wiener is a surprisingly informative book about pizza boxes. That’s right — PIZZA BOXES! I picked it up thinking it was merely going to be a book of pictures, but that’s not the case. The author has clearly done his research and it shows in his writing. This helped me go from “I’m just going to flip through this” to “let me sit down and read the entire thing.” Which I did. And I enjoyed it immensely. This book will probably only hold the interest of pizza-fans, but c’mon…who doesn’t like pizza? Where does all this art come from? Scott Wiener has been collecting and cataloging pizza boxes for more than five years. In Viva la Pizza!, Wiener traces design trends over the past four decades and profiles some of the world’s most prolific box designers and manufacturers. The result is a captivating overview of pizza culture and a new way to look at one of the world’s favorite foods. You can purchase Viva la Pizza! : The Art of the Pizza Box HERE. 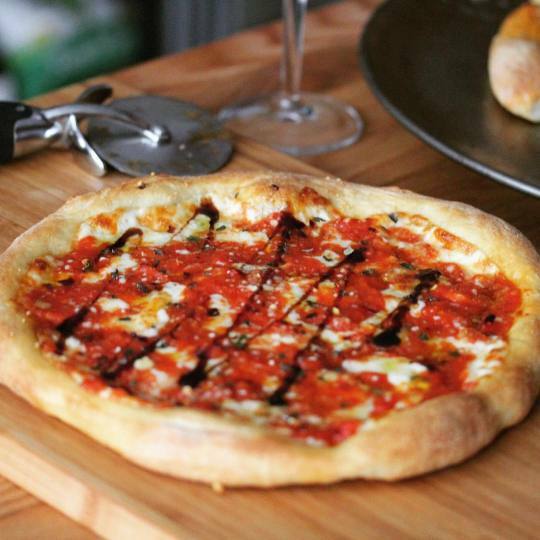 A pizza I recently made for my wife with balsamic glaze for a little extra oomph!